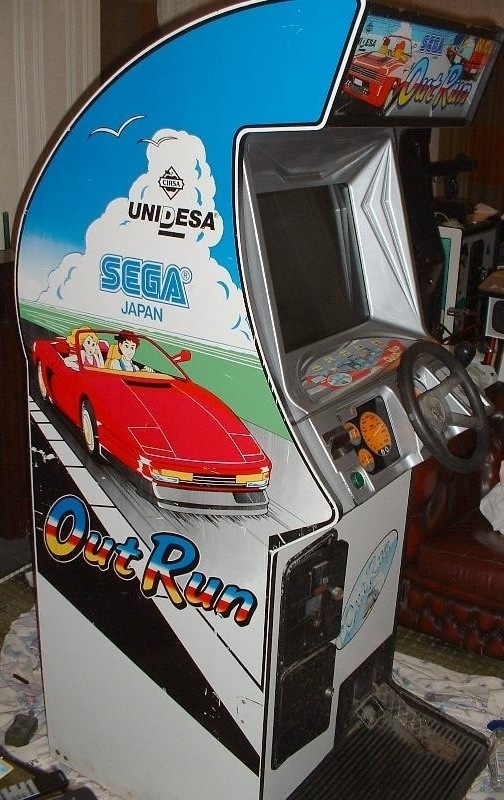 Most OutRun sites will tell you there are 3 variations of the OutRun arcade machine, OutRun 86 Blog will show 6 quite different styles of machines, one exclusive to Japan and the other exclusive to Australia and don’t forget those Bootlegs that keep showing up. 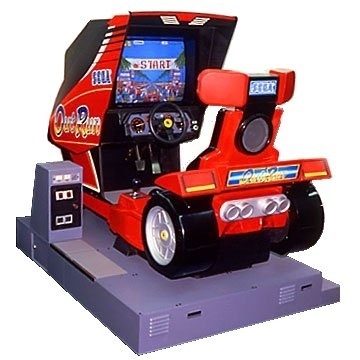 The daddy of the OutRun machines, sit down hydraulic machine, the ultimate way to experience OutRun. 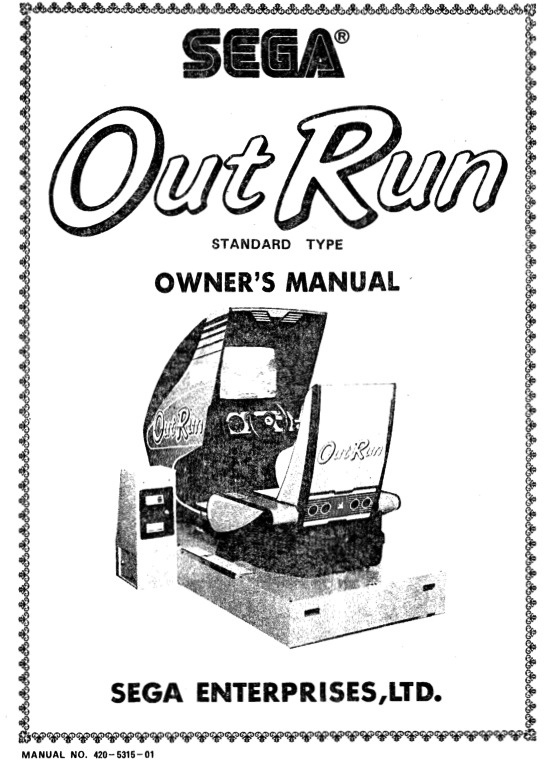 Nice machine, not quite the deluxe though. Steering wheel has a shake motor when going off the road. 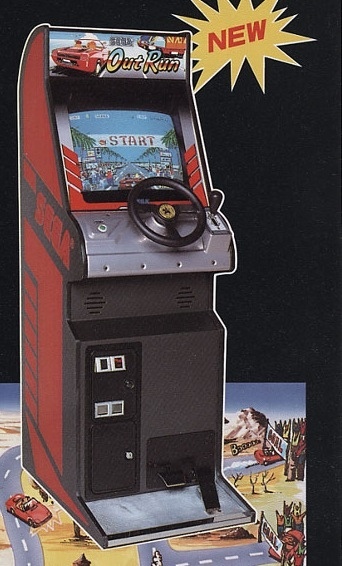 Great side art on this machine, route map is located on the screen bezel . Note: This picture maybe a early promotional shot as it has a red foot base. 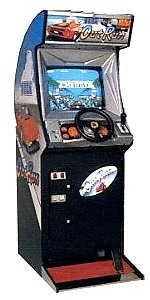 Some machines also have a stripe behind the OutRun logo and car sticker down the front of the machine. 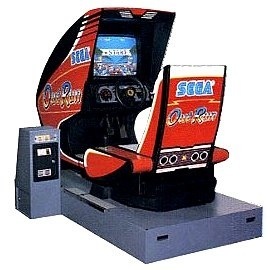 Japanese Cockpit type machine, this is a different shape and had the route map on the screen bezel. 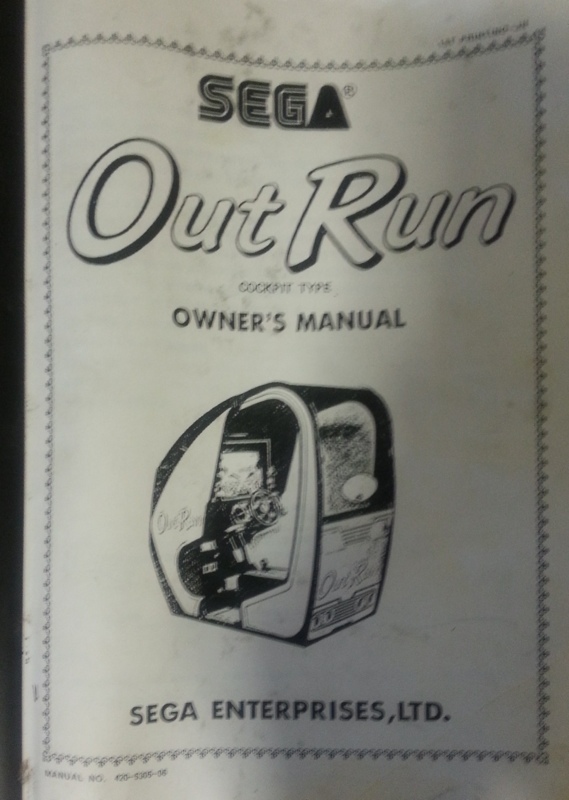 I have not found any promotional sales material or flyers on this machine so I believe it’s quite rare to find. Again, this machine is mainly white instead of the usual black. 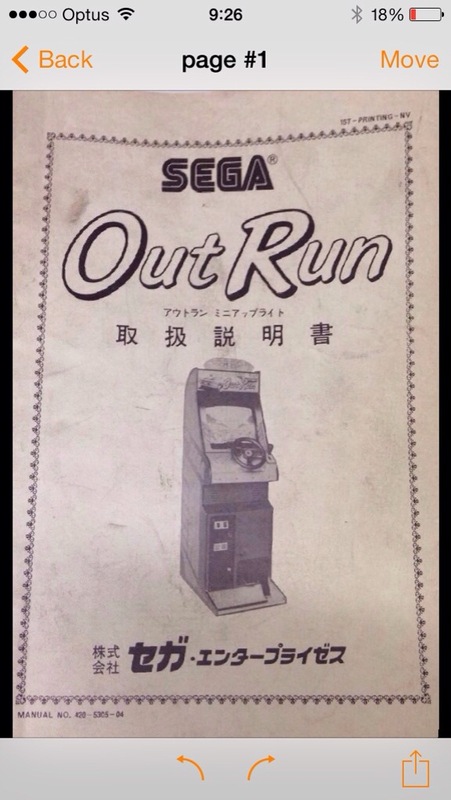 SEGA side art, no route map. 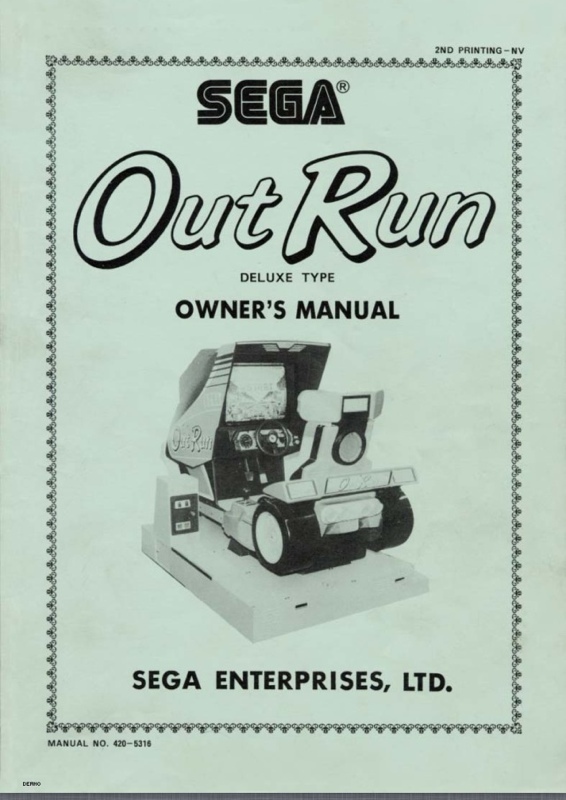 The smallest machine, lacks some of the nice side artwork and just has red SEGA logos, no route map (sometime present on top of the machine). 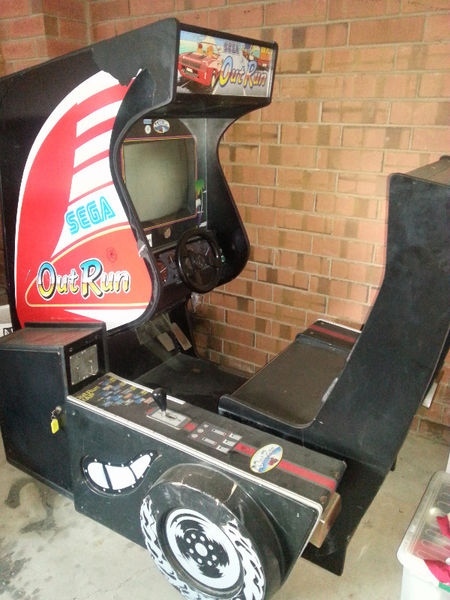 Made by LAI for the Australian market under license from SEGA. 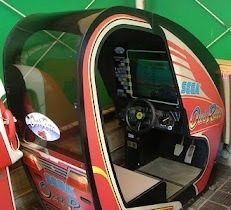 As well as the bootleg boards there are also some cabinets out there that aren’t official SEGA machines. 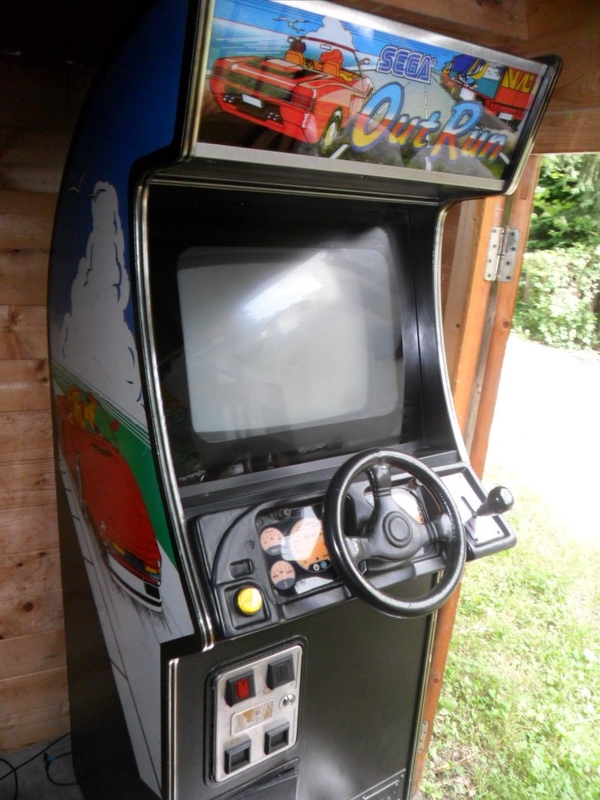 Here some pics below of non-official machines. 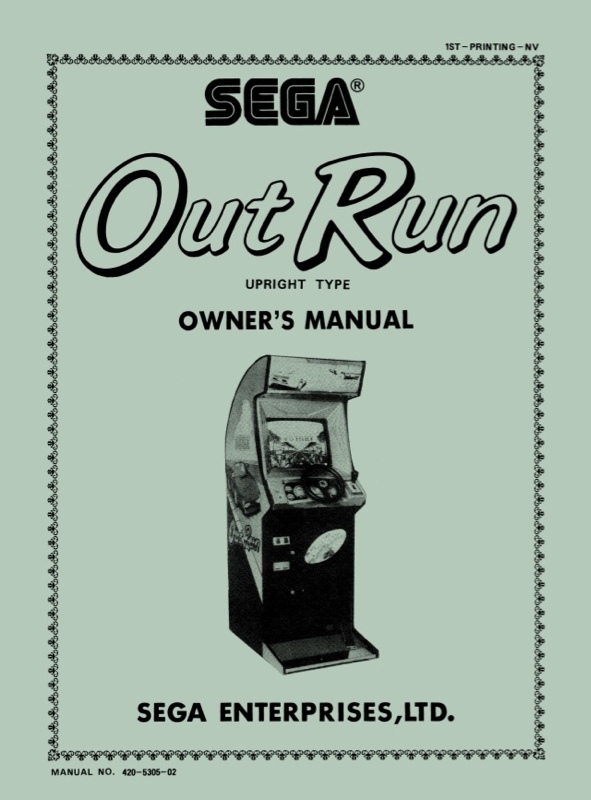 CIRSA-UNIDESA is a official license SEGA operator from Spain not from Italy.